The co-chair of the populist Alternative for Germany (AfD) party is under fire after the publication of an allegedly leaked email, in which she reportedly calls the Chancellor a “pig tasked with keeping Germany down.” The politician dismissed the letter as a fake. Just weeks before the German parliamentary elections, Alice Weidel, who is also one of the two leading candidates from her party, found herself at the center of a high-profile political storm after the Die Welt daily published the email, in which she allegedly cynically questioned German sovereignty and accused the German government of deliberately instigating a civil war. 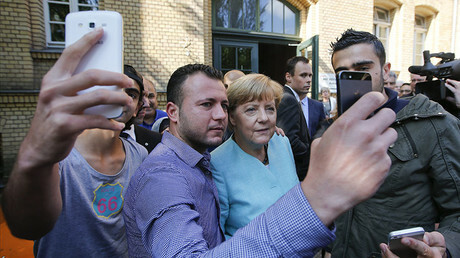 “These pigs are nothing other than puppets of the WWII Allied Powers tasked with keeping the German people down by instigating civil wars in the metropolitan areas by flooding them with foreigners,” Weidel allegedly wrote in an email to a confidant, referring to Angela Merkel and her government, as reported by Die Welt. The AfD co-chair further reportedly said Germany is “not sovereign at all” and its judicial system is corrupted up to the Constitutional Court itself. Die Welt says it obtained the email from Weidel’s confidant, who once belonged to her “circle of acquaintances” in the city of Frankfurt am Main and was the initial recipient of the message. The email reportedly dates back to February 2013 and was allegedly written by Weidel before she joined the AfD which formed later the same year. Die Welt also said it received “solemn assurances” from the leaker of the email, that it was Weidel who wrote the text. The daily added that the person in question gave the journalists “numerous reasons” to believe that the AfD co-chair was the only person that could have written this message. The confidant’s identity was not revealed by Die Welt. A copy of the email was also published by Andreas Petzold, the publisher of another German daily, the Stern, in his Twitter post. In the meantime, Alice Weidel denied writing the email published by Die Welt and dismissed all accusations by saying she had fallen victim of a “smear campaign.” She also told Die Welt that she would not react to all “absurd” accusations that are thrown at her and thus fuel this “smear campaign” just two weeks before the vote. 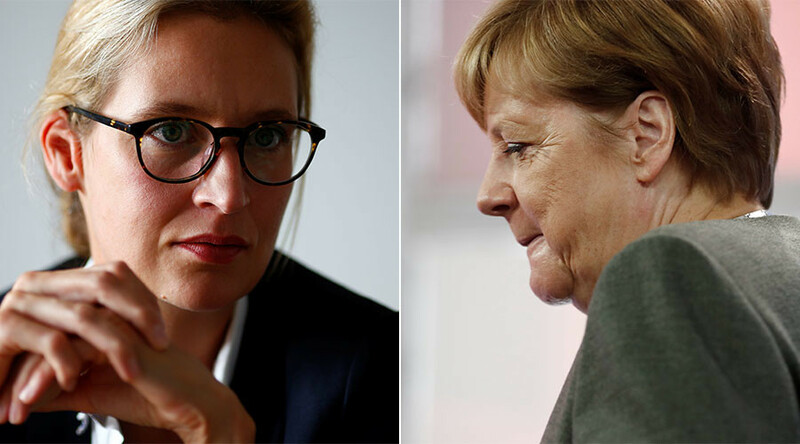 Another AfD spokesman, Joerg Meuthen also intervened on behalf of Weidel and said she “assured him very convincingly that she never wrote those emails.” He also denounced the reports as an “apparent attempt” to discredit Weidel and a “smear campaign,” as reported by Bild. The email’s publication quickly provoked a wave of indignation among German politicians, who queued up to denounce the AfD, saying the party should never get into the German parliament. The prime minister of the German state of North Rhine Westphalia, Armin Laschet, described the AfD as “far-right radicals” and said that “they do not belong in the German Parliament,” Die Zeit daily reported. His words were echoed by the deputy head of the German Social Democratic Party (SPD), Ralf Stegner, who told Die Welt that “those, who write racist emails that despise democracy, does not belong in the German Bundestag [Lower House of the German Parliament].” He also called on Germans to “go to vote and elect democratic parties” to prevent the AfD from entering the parliament. Meanwhile, support for the AfD has risen to 11 percent among the electorate, which if maintained, could make it the third largest party in the German parliament, according to a poll conducted by Germany’s INSA company on September 10.